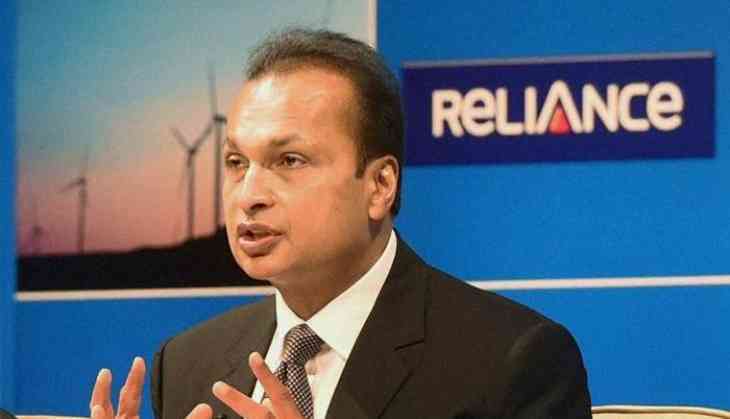 Billionaire Anil Ambani Tuesday announced that the cash-strapped Reliance Communications will be completely exiting the telecom business to concentrate on real estate in future. The first priority for RCom, which is credited for democratising telecom services through cheaper offers in early 2000s, is to resolve its over Rs 40,000 crore debt, he told shareholders at the company's 14th annual general meeting here. "As we have moved out of the mobile sector, we will monetise at an appropriate stage our enterprise business. Reliance Realty will be the engine of growth for the future of this company," Ambani said. Pointing out to the 133-acre Dhirubhai Ambani Knowledge City (DAKC) on the outskirts of the financial capital, he said there is huge realty play opportunity that RCom's erstwhile corporate headquarters possesses, and pegged the potential value creation at the site at Rs 25,000 crore. RCom owes over Rs 40,000 crore to a group of 38 lenders, including Chinese banks, and was resolving the debt through a strategic debt restructuring (SDR) process. Ambani said he is confident of getting a resolution in the next few months, and added that other monetisation measures, including sale of telecom infrastructure and fibre to Reliance Jio, are at an advanced stage of closure. He said the company is awaiting final approvals for spectrum sharing and trading from the Department of Telecom. Anil Ambani also thanked his elder brother Mukesh Ambani, who is credited with conceptualising the undivided group's telecom foray and also bought the assets as part of the beleaguered RCom's monetisation efforts. "It would be most appropriate for me to thank and acknowledge the support (and) guidance extended to RCom and me personally by my brother Mukesh bhai Ambani," the younger sibling told shareholders. It can be noted that Mukesh Ambani re-entered the telecom sector by buying out a company which had successfully bid for 4G spectrum, along with which he also announced the end of a no-compete pact. His company Reliance Jio's aggressive play is widely blamed for wrecking the telecom sector, which has seen an erosion of profits, asset sales, bankruptcies and consolidation following the entry of the deep-pocketed new entrant. Anil Ambani Tuesday said there has been a "creative destruction" of the telecom sector that has resulted in creation of oligopoly which is going towards a duopoly and may be even a monopoly in the future. Banks are saddled with over Rs 7.7 lakh crore in debt and the financial troubles of operators have resulted in over 20 lakh job losses, he said. He said the residual company will serve 35,000 businesses through the enterprise, data centres, undersea cables and international voice calling verticals and will get half of its revenues from abroad. RCom is "committed" to exit these verticals as well to pay-off banks and will take a call on the same at an appropriate time, Ambani said. Reliance Realty is a wholly-owned subsidiary of RCom, which will develop the DAKC in Navi Mumbai, he said, adding that it is an already registered IT and fintech park. The company already has three million sq ft of built up space, which will be leased out to multi-nationals, Ambani said, adding that he expects revenue accruals through it this year itself. Some of the shareholders appreciated efforts taken by the company, while wading through choppy waters, but there were a few critical ones as well. When one such shareholder persisted, a company official patted him on the back, probably pointing to the time constraints. When he complained, Anil Ambani said from the stage this is a pat and not a stab, and asked him to continue with the question. The mention of the Rafale controversy prompted Anil Ambani to stop him from speaking further. "Shailesh bhai, who is a very educated person and comes with non-facts, half-baked facts, untruth, lies, is in my father's words, a true well-wisher of all of you. I do respect, in a democratic world, his comments. But none of them have any relevance to what is in front of us today as a company and for all of you shareholders," Ambani said. The RCom scrip was trading 6.10 per cent down at Rs 16.15 apiece on the BSE at 1242 hrs as against a marginal correction in the benchmark.